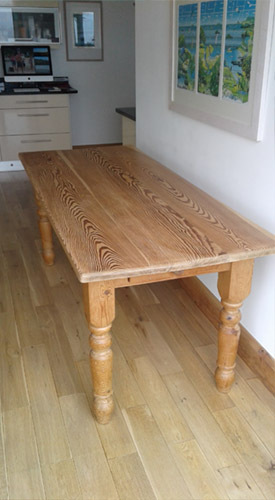 As a sander and finisher of wooden floors for twenty years I have re-sanded many wooden kitchen worktops and pine tables. 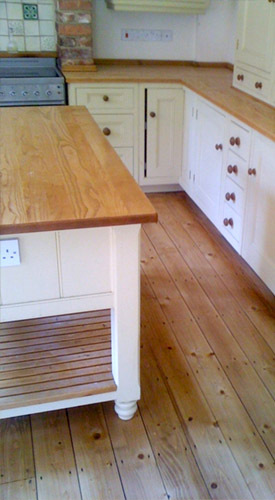 Along with freshly sanded kitchen floors, refurbished worktops can completely transform a kitchen. 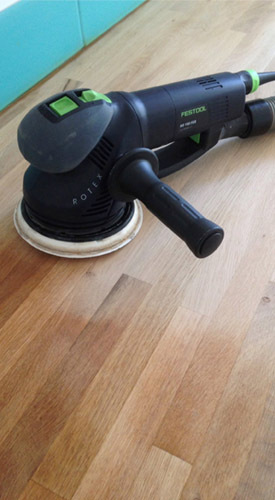 The sanding is almost completely dust free and, along with high quality water based floor finishes which are quick drying, can minimise down time on worktops and kitchen tables. 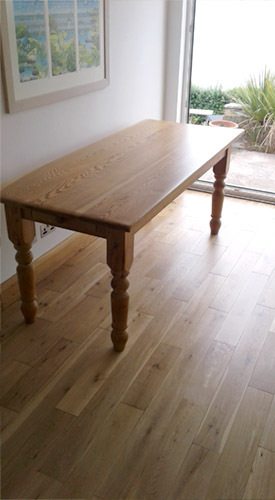 At £50 per m of worktop and around £100 / £150 for a typical kitchen table top, it's a very cost effective way of renewing them without the upheaval of replacing them and the expense incurred with that. 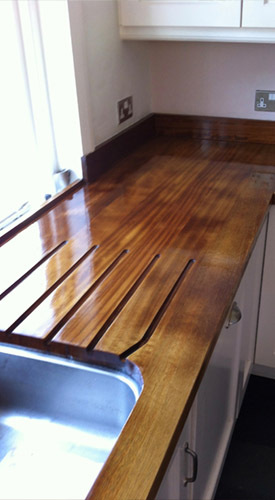 Water based finishes can dramatically alter the colour of a lot of worktops returning them to their natural colour. This is especially true of oak worktops with an oiled finish that can go very dark over time. The most common problem area is always around the base of taps which can often be black. 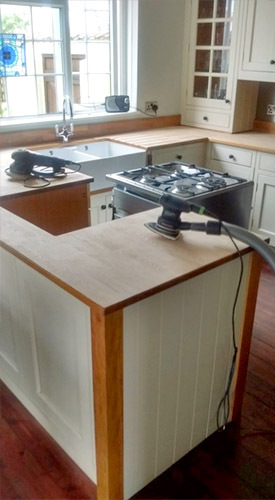 The best way to remove this staining (not always completely I must admit) is to get your plumber to remove the taps so it can be sanded properly and then replaced the next day.